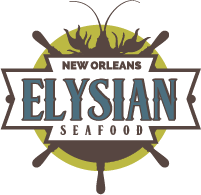 Elysian Seafood was started in early 2015 as one of the first vendors in the newly renovated St. Roch Market in New Orleans. As the sole seafood and oyster bar, we began providing the flavors of Gulf, as well as other seasonal dishes, to thousands of locals and visitors to New Orleans alike. When St. Roch Market expanded to Auction House Market in the Warehouse District and St. Roch Market Miami, we were invited to serve our Gulf Coast cuisine there too. We now offer a variety of regional oysters and seafood at all three locations. Come stop by, pull up a chair to our oyster bar, and enjoy the fresh flavors of Elysian Seafood! Jennifer Sherrod is a native of Florida and grew up surrounded by seafood and oysters. Every family event involved seafood boils and oyster roasts, so naturally, oysters have always been a passion for her. Jen worked at various restaurants while attending the University of Florida before moving to New Orleans in 1994 to pursue a law degree from Loyola University. After graduating and passing the Louisiana State Bar Exam, Jen ultimately decided her heart was in hospitality. She starting working at Martinique Bistro shortly after law school, and was the restaurant’s General Manager and Sommelier for over 16 years. Jen departed Martinique shortly before it closed in 2014. Brandon Blackwell is a native of South Louisiana. After more than a decade of working in the hospitality industry in and around Baton Rouge, he moved to New Orleans in 2004 to attend culinary school. Staying focused, even through Hurricane Katrina, Brandon completed his Culinary Arts degree in 2006 and started an apprenticeship at Pascal’s Manale Restaurant. Upon completion of his apprenticeship in 2007, he took a Sous Chef position at Upperline Restaurant, staying for 5 years and ultimately taking over all kitchen operations, but without the official title of Executive Chef. In 2012, Brandon accepted an offer to help open a locally sourced, whole animal butcher shop, Cleaver & Co. While learning animal butchery and sausage making, Jen and Brandon started a Pop-Up Restaurant called Splendid Pig. Jen and Brandon were married shortly before launching Splendid Pig in the fall of 2013. They kept the pop-up going until early 2015 when they decided to join St. Roch Market as one of the inaugural vendors, shifting their focus to seafood, and eventually oysters — the beginning of Elysian Seafood. They have since expanded Elysian Seafood into a second location: Auction House Market in the Warehouse District.